I was given some products from Oriental Trading to use in styling parties. 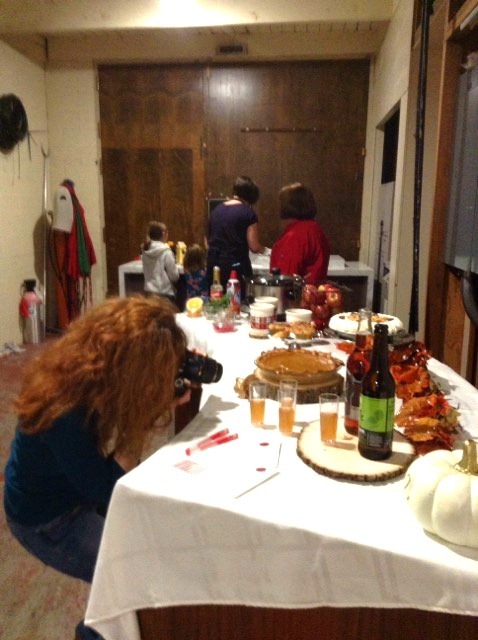 I'm so excited friends, I got the opportunity to show some Friendsgiving ideas on Afternoon Live. I wanted to give three easy ideas for people to be inspired by. I'm taking you behind the scenes to show you the pre-prep before the show. The set up area is located just outside where the filming takes place. There are tables for the guests to prep and than when it's time to go on air the tables are wheeled into the studio. Here's my table all ready to go. I had a little time before it was time to go on air so of course I had to get some shots of the table. 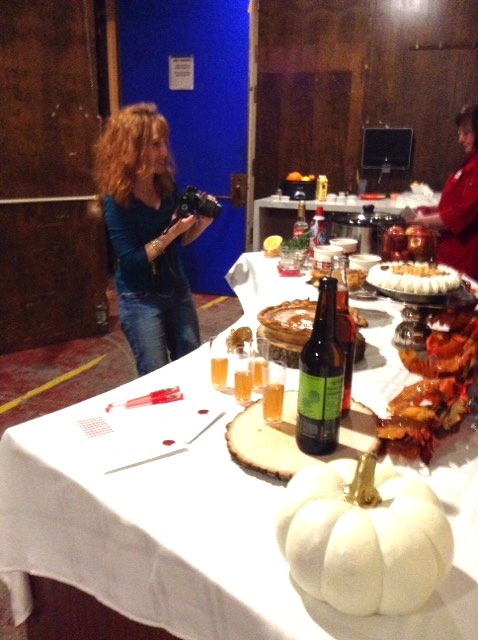 Thank you to my assistant for taking pics of me taking pics of my table set up. I know I look a little casual in jeans but all you see is my top on air so it's all good. Sometimes to get just the right shot you have to scrunch down. The two ladies in the back were going on air that day too. The lady on the left was talking about yummy easy crock pot recipes and the lady on the right was talking about easy tasty fudge. They were both so cute. They saw my table and we're like, some people are so creative 😁 Yep, that's me. I seriously can't help it. My brain just loves styling parties. Busy snapping pics before I go on air. 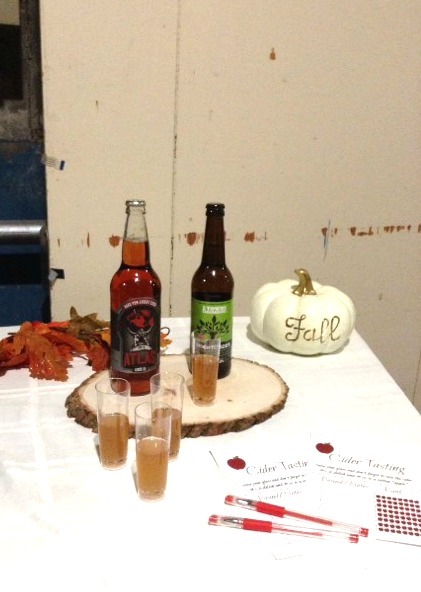 A little look at the hard cider part of my table. 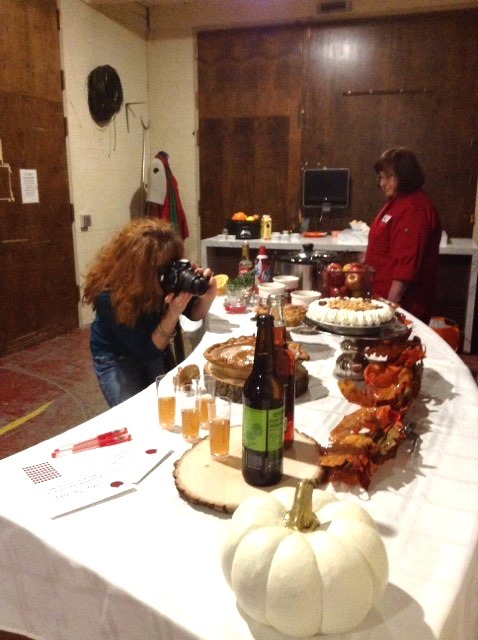 Hot cider bar area of my table. 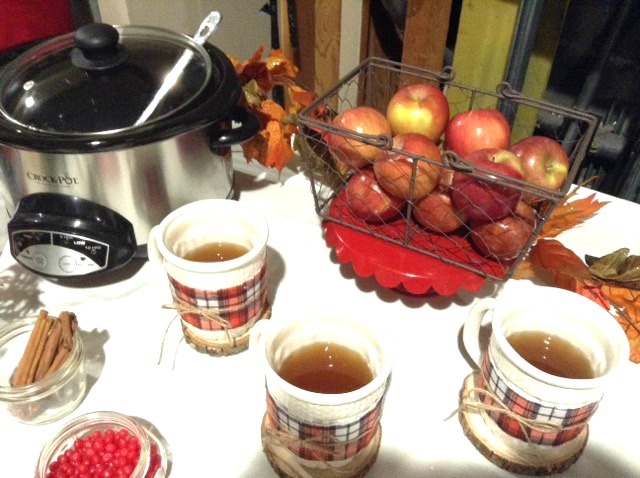 When guests arrive show them to the hot cider bar. Keep the cider warm in a crock pot. If your table has room you can add some décor pieces like apples in a basket or a fall leaf garland. I hope you enjoyed a look at the behind the scenes. Will you be hosting a Friendsgiving this year? Leave me a comment. I'd love to hear about it.